I am guessing that almost all my readers are familiar with the blue tin above, in one or other form. At the moment (as with Oil of Olay) there are so many different products from bath to body to face. 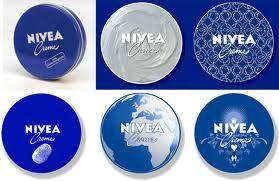 In Nivea there was just a simple product which did the trick so well it is still going. I used it a lot when I was a young sun worshipper under the hot African skies. I would slather myself in baby oil, cooking oil or Brylcreem and bake in the sun all day. No SPF in those days! Then in the evenings I would shower the salt and sand off in a makeshift outside cold shower. And then slather on Nivea Creme. I can still feel the lovely icy soothing feeling of it going on my warm skin. It was greasy but it really did the trick. Since then I have used it on both body and face. At the moment though I tend to use Nivea Q10 Night and Nivea Soft on my face, and Nivea Intensive Body Lotion on my body. When I tried the screechingly expensive Creme de la Mer (£200 for 60ml) a few years back the consistency and smell really reminded me of Nivea Creme. I then read an article about a blind test of moisturisers where testers though Nivea Creme was Creme de la Mer and vice versa. 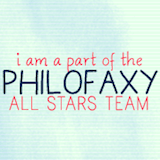 So I looked it up and found a wealth of information on the matter. 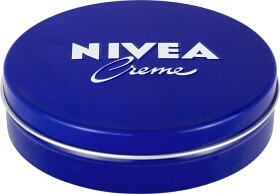 And Nivea addicts who write enthusiastically on this humble little blue tin of cream. I don’t believe that Creme de la Mer is Nivea Creme but from experience, it is very similar. I did, however, find out that the Nivea Creme made in Germany for the European market, and Nivea Creme made in Mexico for the US market have different ingredients. Users prefer the German one and recommend searching Afro-Caribbean shops for the German variety if you live in the US. 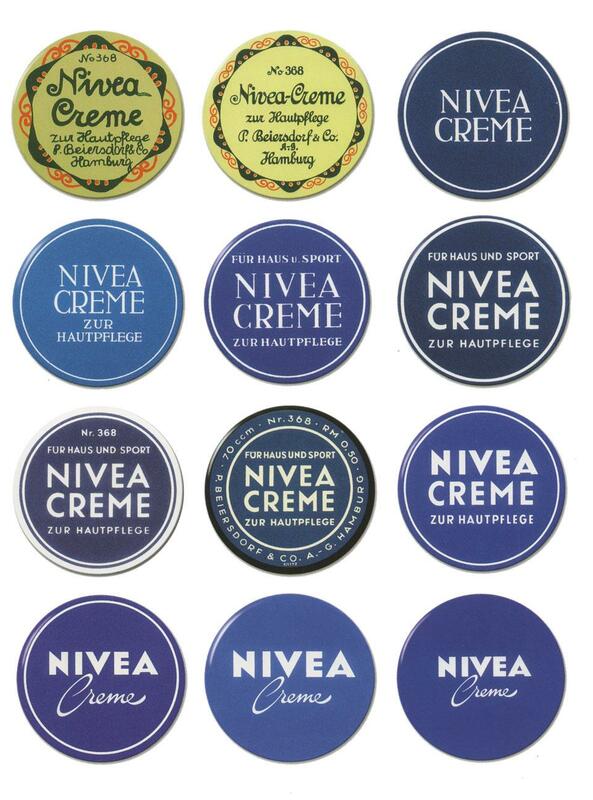 I have also found pictures of different Nivea Creme tins – some of them vintage ones and others limited edition ones. I wish they would bring out collector’s tins like Steam Cream does. These kinds of tins are so nice for storing stamps, paper clips, hairclips and all kinds of bits and bobs. Though what would I do with all that Nivea? 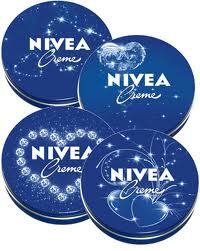 I am a collector by heart and Nivea Creme really goes a long way! 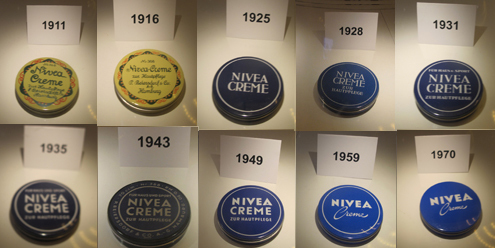 Is Nivea Creme the same thing as Creme de la Mer?